Move over heavy, bulky nappy bags, there is a new option in town and it just may spell your demise once and for all. Stylish and functional, the Elari Nappy Wallet provides chic, compact organisation for all of your nappy changing and toilet training needs. Measuring only 20 x 14 cm, this nappy wallet is your ticket to getting your favourite handbag back in action way sooner than you anticipated. 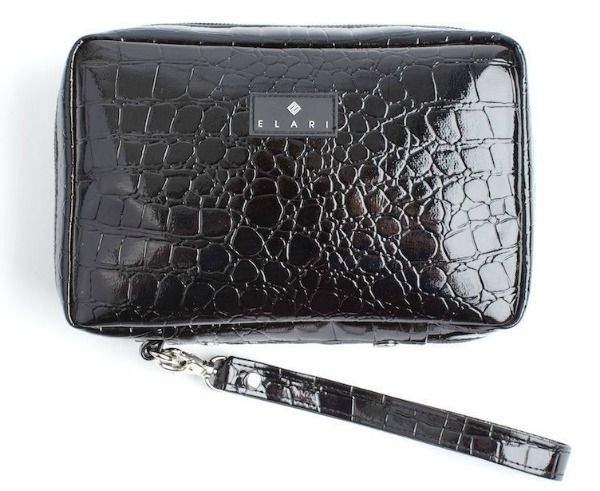 The Elari Nappy Wallet comes in a range of different styles and colours, including black crocodile, blue weave, orange, and purple, to suit your favourite handbag or personality. Each trendy nappy wallet comes with a coordinating change mat and there is enough room inside for three nappies, wipes, a change of clothes, cream and hand sanitiser (true story, I tested it myself). 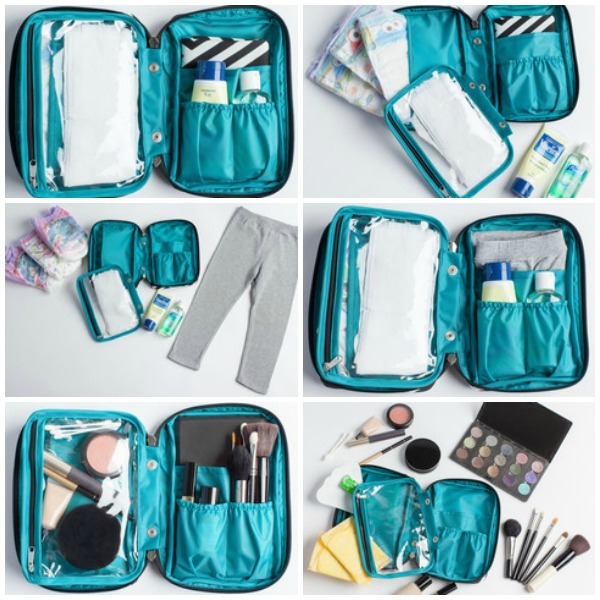 This isn’t just a practical idea for when you have a young baby though, the Elari Nappy Wallet can grow with you to work for toilet training toddlers and it is the perfect size for your makeup when you are done and dusted with the baby season of life. 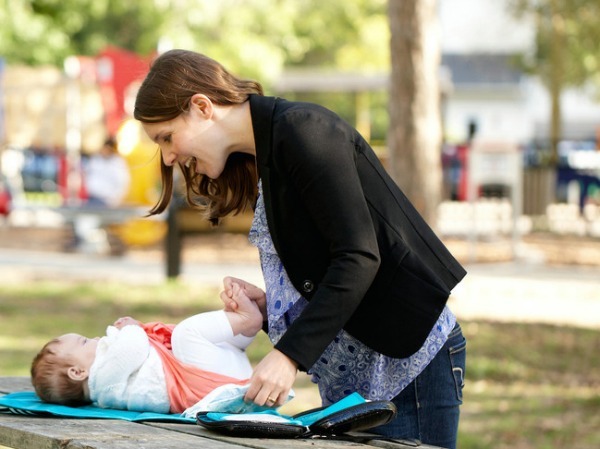 As with many ingenious baby products, the idea for this one came about when new mum, Melissa, was looking for smart products that make parents lives easier. When she couldn’t find anything that fit the bill she got together with her sister, Dawn, and they started making the wallets themselves. Elari is proudly owned, operated and made in Canada. Their materials are easy on the environment, mould and mildew resistant, and kid-friendly. They can easily be wiped clean and the change mat is machine washable for the ultimate in practical fashion. 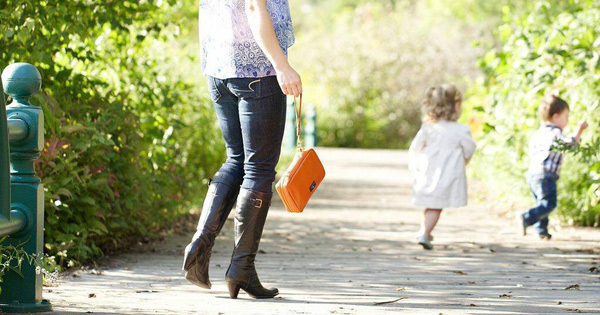 Find the Elari nappy wallet in Australia at Baby Village. They currently stock them for $59.99 – only a fraction of the price of a nappy bag.